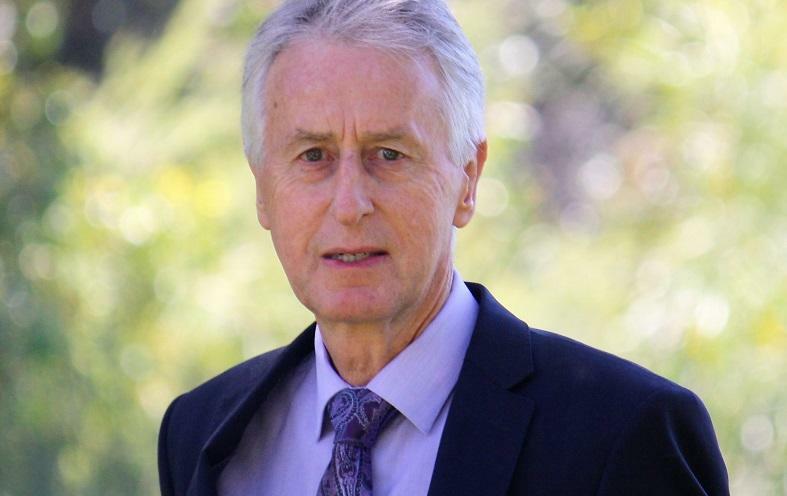 Ross Dowling OAM, Foundation Professor of Tourism at Edith Cowan University in Australia, in this interview shares his insights and impressions from over four decades of service dedicated to tourism, sustainability and the natural environment. Learn about geotourism, the cruise industry and how to develop a tourist destination sustainably. Ross, do you remember the first time you heard about sustainability linked to tourism? Who or what triggered your interest? I have always been interested in both the environment and tourism. Growing up on a farm in the North Island of New Zealand, I gained a love of the great outdoors. Allied to this was a love of reading and from that I gained an insight into the world of other places. Putting these two joint loves together, it was inevitable that I would somehow end up working in the world of sustainability. Undertaking a Master of Geography degree at the University of Auckland in the 1970s, I undertook one of the first units on ‘The Environment’ offered in NZ. I think it was there that I first heard about the term sustainability when I studied the 1972 UN Conference on the Human Environment, a forerunner of the 1987 World Commission on Environment and Development publication, Our Common Future. In the mid-1970s I was appointed as one of the very first staff members of the newly created NZ Commission for the Environment, which was that country’s first environmental department. Whilst there, the goals were all about conservation, biodiversity, and sustainability. So, my interest in linking sustainability and tourism was initiated as a child then nurtured through my formal education and work as an Environmental Advisory Officer. Later I became a Tour Guide to National Parks and Wilderness Areas and at that point I felt that I had ‘arrived’ as a fully engaged professional, conducting tours in the natural environment in a sustainable manner. Having served as Foundation Professor of Tourism at Edith Cowan University in Australia for more than 20 years, which are your key insights or lessons learned so far? 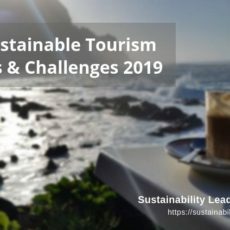 What I have learned over the last twenty years is that sustainability in tourism is not easy to achieve. I still think today that the old adage that when ecology meets economy, it is usually the latter that wins out. 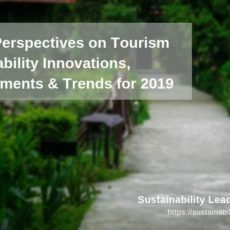 Sustainable tourism can be achieved, but it requires rigorous planning, the active engagement of all stakeholders, and the political will to ensure that it works. Much of your work focuses on ecotourism, especially in Asia. In your view, which are the main challenges the region faces, regarding sustainable tourism development? I am a regular visitor to Asia and have visited China in every decade for the past five decades. So, I have witnessed many changes during that time. The speed of development in that country is phenomenal and as we witnessed during the 2008 Olympic Games, the Chinese can tackle pollution and environmental problems if they want to. In a recent visit to China I was asked by one Provincial Government to advise on the development of a Natural Theme Park. But I could tell during the discussions that their view was that the development would be more like Disneyland then a natural attraction. So, in my view they have a long way to go. In other parts of Asia where I have worked on sustainable tourism development, in countries such as Malaysia, Singapore, South Korea, Thailand and Vietnam, I have seen some progress over the past thirty years. Whereas once ‘sustainability’ was all about ‘economic prosperity’, there has been a marked shift towards including ‘social benefits’ in tourism development. But I think that the ‘environmental aspects’ still have a lot to be desired and that conservation is the poorer of the three elements. The cruise sector – another key research area of yours – has received a lot of criticism over the last years for its negative impact on the natural environment and host communities. Which do you consider the key issues and hurdles preventing the cruise ship business from becoming more sustainable and responsible? I love the cruise industry and have been lecturing on cruise ships for over twenty years. In the early years, the environmental record of some of the cruise companies was not good, and for some it was completely absent. About a decade ago I was asked to speak at an International Cruise Conference on the industry’s environmental record. I talked a lot about its adverse environmental impacts and pollution, both on board the ships as well as in the destinations they visited. There was not much consideration given to the natural environment and host communities in those days. At the conference I gave them a score of around 4 or 5 out of 10 for being a sustainable and responsible segment of the tourism industry. But things are changing and now the cruise lines have embraced sustainable principles and actions on their newer ships. This has been imposed on them by their customers, the cruisers, many of whom are educated, well-heeled baby boomers who do not want to leave a large footprint when they travel. So nowadays if you look at the Stewardship Reports from the major Cruise Corporations, you will note a host of measures aimed at ensuring a strong environmental commitment through their on-board and offshore operations. Having said that, I still worry about the industry as it appears to be unstoppable in its growth due to the insatiable appetite for cruising by first world consumers. Thus, I see pressures put on the natural world. The cruise companies go to no end to ‘discover’ new and / or remote destinations. Some of which are clearly not ready for the onslaught of mass tourism. As Advisor to UNESCO Global Geoparks, which strategies do you propose to ensure the sustainability of geotourism destinations? UNESCO Global Geoparks is an amazing UN program which has swept the world by storm over the past 15 years. Today there are numerous ‘Aspiring’ Geoparks, many ‘National’ Geoparks, and 140 ‘Global’ geoparks in 38 countries. The essence of these parks is that they promote a genuinely sustainable future for the host communities based on the back of geotourism. Geoparks are a program of the United Nations Education, Scientific and Cultural Organization (UNESCO). They were started as a concept in 2004 and became a full UNESCO Program in 2015. Geotourism argues that, to fully understand and appreciate the environment, we must know about the Abiotic (non-living) elements of geology and climate first, as these determine the Biotic (living) elements of animals and plants. By extension, the combination of these components determines the Cultural landscape of how people have lived in the area in the past, as well as how they live there today. These are the key ‘ABC’ elements of geotourism, which is a new holistic approach to interpreting natural areas. Geotourism is the economic driver of geoparks, as it embraces all aspects of a region’s tourism destination sites and products. If geotourism is viewed as the ‘engine’ of regional development, then geoparks are the ‘vehicles’. A geopark is an area of outstanding geology which fosters conservation, community growth and economic development. Their bottom-up approach for combining conservation with sustainable development, while involving local communities, is becoming increasingly popular around the world. Geoparks encourage regional investment, create new businesses and jobs, and generate financial benefits to regional communities. In other parts of the world geoparks now promote geotourism, geotours, geo-hotels, geo-restaurants and geo-cuisine etc. They have helped revitalise languages, arts and crafts, an interest in conservation and community goodwill. In the UK, each UNESCO geopark adds approximately $4.82 million to the economy per annum, whereas in Ireland the geoheritage and geotourism sector generates over $586 million per annum. Off the coast of Iceland is the island of Heimaey, population around 5000. In the Global Financial Crisis of 2008, both the country and the small island suffered a major economic setback. However, the island has climbed back from the economic brink of disaster through maintaining its lucrative sustainable fishing industry and introducing sustainable tourism through geotourism. An excellent example of this is the recent opening of Eldheimar, a volcano museum of remembrance which focuses on the 1973 volcanic eruption on the island. Together with tours, other museums and visitor centres, as well as geologically themed coffee shops, the island is now securing its future through geotourism income whilst at the same time conserving its environment and providing jobs and income for the local community. This is a good example of what can be achieved through sustainable geotourism. Having completed two lecture tours on ecotourism and geotourism throughout China, Hong Kong and Macau, is tourism sustainability taken seriously in China? Which destinations are leading the way? I have already alluded to this earlier. The short answer is that tourism in China is still focussed on Mass Tourism. It is still all about increasing the numbers of tourists rather than seeking a balance through yield. At one International Geoparks Conference I heard a Chinese Provincial Governor praise geotourism and geoparks for leading the Province out of poverty. Indeed, his statistics on the numbers of tourists and their contribution to the economy was staggering, but his photos showed what we would consider to be ‘mass tourism’ in the parks. Having travelled widely in China and also having visited Hong Kong and Macau, I have yet to see a truly sustainable tourism operation. But that is not to say that there might be good examples there, it is just that I have not seen them. In many parts of China, I would say that tourism is better defined as ‘overtourism’ with all of its attendant problems and environmental impacts. 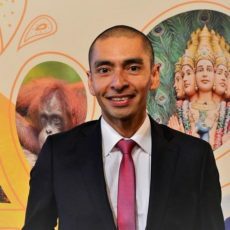 You have delivered a Sustainable Tourism Development Plan for the Sultanate of Oman and are right now helping Sabah and Sarawak in Malaysian Borneo. How do you approach such tasks? E.g. which strategies do you propose? Whenever I am delivering a Sustainable Tourism Development Plan, the first tasks I do are to engage with all the stakeholders to find out what is important to them. Inevitably there are groups of people interested in different aspects of tourism development. These include the government and industry who are generally interested primarily in economic benefits and jobs. Others are more interested in the social and cultural benefits of tourism generating infrastructure, facilities and social revitalisation through revival of language, crafts, music and the arts etc. Then there is usually a third group interested in what tourism can do for conservation of places, species or habitats etc. All have their place and need to feel part of the discussion and outcome. The second thing I do is to carefully examine the natural environment to see what places are ‘sacrosanct’, that is, should not be opened up for tourism; what places could be opened up for small-scale, sustainable tourism activities or development; and finally, what places could be opened up for controlled, sustainable tourism development. This forms the core of my ‘Environmentally based planning model for Regional Tourism Development’ which I developed in the late 1980s / early 1990s. It has since been successfully utilised in many countries around the world at both the regional and national levels. It is all about focussing on environmental attributes and tourism resources whilst looking for ‘significant features’ to develop, ‘critical areas’ which warrant further investigation, and ‘compatible activities’ from both the environmental and social standpoints. Once all of this has been worked out then a number of tourism development strategies and controls are put in place in zones which include Sanctuary, Nature Conservation, Outdoor Recreation and finally Tourism Development. Thus, there is a spectrum of possibilities for tourism development, but the entire planning process has been guided by the environment first, and local communities second. From these the economic possibilities are then ascertained and acted upon. I find that this process works. However, I have a precautionary note: we must always remember that environmental protection is just as important as economic development. I have been around long enough to have seen that the environment is often the first thing to be compromised when governments and / or industry are seeking perceived quick fix economic benefits through ‘sustainable’ tourism development. You serve on the editorial boards of several academic journals linked to tourism and sustainability. To your mind, are there any research areas or questions which should receive more attention? Which research gaps need to be filled? How long is a piece of string? There is so much we still need to know that the research possibilities are endless. At the core of these is the need to have a far better understanding of how tourism impacts the environment and communities on a range of levels. Given that few environments or communities are alike, then there is much research still to be undertaken. There is no one piece of research which will fit all environments or communities, so though we can generalize in relation to some research findings, overall, we simply need to do the hard yards and conduct research for every situation in which we are trying to develop tourism in natural areas. Connect with Ross Dowling on LinkedIn or find out more about his research here. Enjoyed our interview with Professor Ross Dowling, on geotourism, the cruise industry and how to approach sustainable destination development? Spread the word!